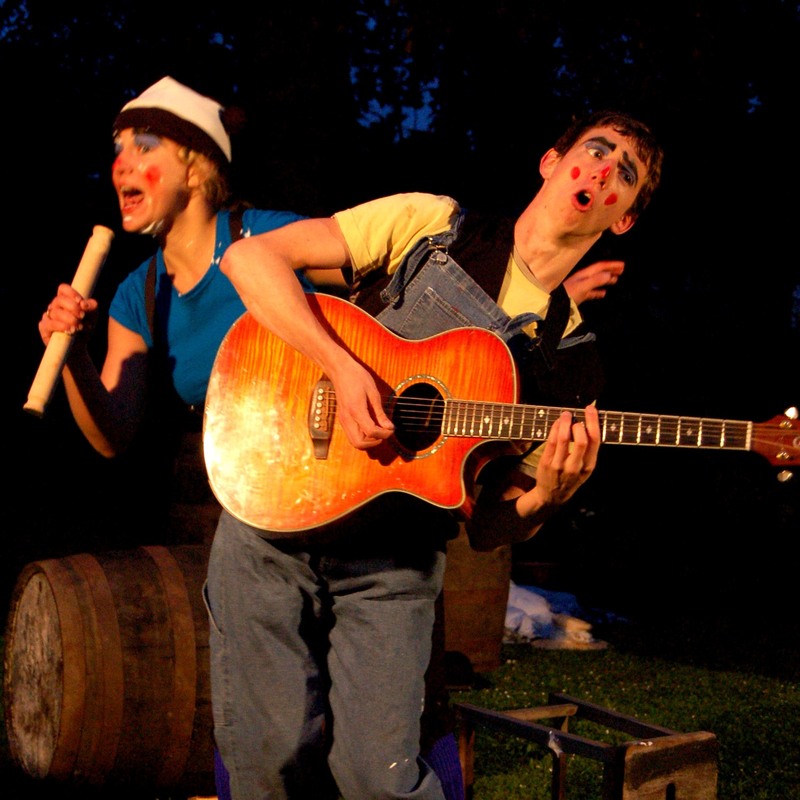 For the Pantaloons’ 2008 summer tour, their biggest one yet, the company decided to tackle one of the Bard’s earliest and most controversial comedies. It has that classic rom-com storyline: Boy meets girl! Girl physically assaults boy! Boy marries girl for money! Boy psychologically tortures girl! Girl makes a long speech about being subservient to boy! And they live happily ever after. The comedy of The Taming of the Shrew is very dark indeed. But a bit of Pantaloonification (a process that involves mixing in copious amounts of irony, self-reflexivity and silliness then wrapping the whole thing in vivid primary colours) always helps to brighten things up!